Its not just a trek, its also about discovering good people, cultures, what spirit of adventure is all about.. IT WILL CHANGE YOUR LIFE.. 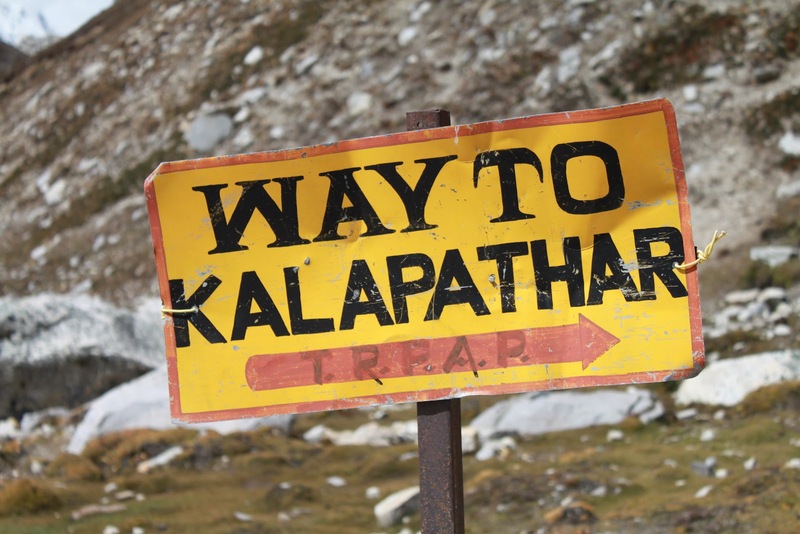 This classic walk through the Sherpa homeland of Solu-Khumbu is moderately-strenuous high altitude trek with a clear-cut goal - to see Everest. Much to their surprise, many people find the snout-like Everest out-ranked by peaks like Ama Dablam and the Lhotse wall. Khumbu is the best region in Nepal for close-up mountain views. 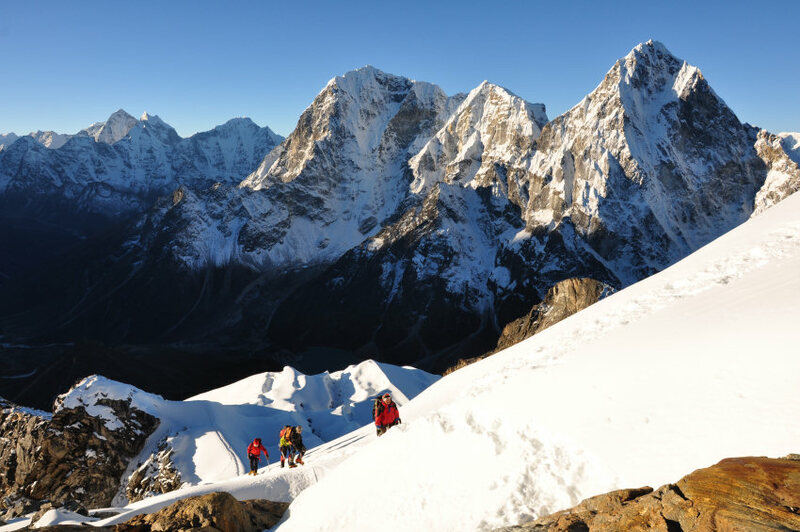 This trip features 3 nights in Kathmandu and a 11-day lodge trek to the base of Everest. Gorak Shep is our highest camp from where we hike to Mount Everest Base Camp and climb Kala Pattar, the Black Rock (5 550 m) where we admire the huge South Col of Everest, the tongue of the Khumbu glacier and more than 15 spectacular Himalaya peaks. This is without doubt one of the best mountain viewpoints of the world! Pick-up at Tribhuvan International Airport, meeting with local expert / guide and transfer to the hotel. First impressions of Kathmandu (1 350 m) – walk to medieval Kathmandu Durbar Square and explore the beautiful complex of palaces, temples, shrines and courtyards built by the ancient Nepali kings between the 12th and 18th century. Evening visit Thamel - the vibrant tourist area with hotels, restaurants, bakeries and outdoor shops. We get to know each other over a welcome dinner, check formalities and equipment and discuss your itinerary. Today we discover the highlights of Katmandu and the valley. We adapt the programm to your interests and desires and what you have seen before. Usually, we go to Pasupatinath on the bank of the Bagmati River, where the most important Hindu temples and burning ghats of Nepal are situated. In Bouddhanath we circumambulate together with Tibetan and Nepali Buddhist pilgrims the whitewashed stupa. Our sightseeing usually ends in Patan, the city of Beauty, an astonishing center of fine art and Buddhist and Hindu culture. We drive to Tribhuvan Domestic Airport to connect our fly to take our flight to Everest region. After breakfast in Lukla (2 850 m) we start trekking through beautiful settlements to join soon the main trail in Churi Kharka. We follow the east bank of the Dudh Koshi- the River of Milk- where you witness the typical Nepal terrace culture, slate roofed houses and views on Kusum Kangaru (5 579 m). We reach Phakding (2 640 m) after 3 - 4 h gentle walking. Today we make a challenging hike to Namche Bazaar (3 440 m), situated at 6-7 hours walking from Phakding. We climb up along the west bank of the Dudh Kosi to the tiny village of Toktok. We get our first glimpse of Thamserku peak (6 608 m) and reach Benkar (2 710 m). The cliffs above the village are decorated with huge paintings of Buddhist deities. We cross the colorful suspension bridge and enter the Sagarmatha National Park at Monjo (2 840 m). After Jorsale we follow the river bank over gravel, climb through a pine forest and cross the Dudh Kosi by a big suspension bridge. Then we face a continuous zigzag ascent of 2 hours through dense pine forests. In the early evening we reach the vibrant center of Namche Bazar, on of the most attractive settlements of Solu-Khumbu district. Today we climb to Hotel Everest View in Khumjung village situated at 3700 m where we visit Khundi Hospital, the first hospital build in Khumbu Region by Sir Edmund Hillary and Himalayan Trust in 1966. Trek to Tengboche (3 860 m), 5-6 hour long hike from Namche Bazaar. The first part of trail is a winding smooth path which offers fantastic views on Mount Everest (8 848 m), Thamserku (6 618 m), Ama Dablam (6 814 m). After the trail goes down to the riverbank and then we make a strenuous 2 hour ascend to Tengboche. We walk through rhododendron forests where musk deer and Himalayan ‘tahr’ or mountain goat live. At the rest place you can enjoy the views towards Kantega mountain (6 783 m). Tengboche, is famed for the Buddhist Tengboche Monastery (where you can attend the daily puja), Cafe Tengboche and the view point. Trek to Dingboche (4 410 m), 6-7 hours walking from Tengboche. We descend through conifer and rhododendron forest to the beautiful settlement Deboche where you have a close view at Ama Dablam. We cross the suspension bridge and look over the surging white waters of Imja River. Soon after a snow white stupa with gorgeous all seeing eyes is mirroring the Ama Dablam, this is a marvelous place for a picture! Then the trail ascents gently to the village of Pangboche (3 860 m), where we climb above the treeline. 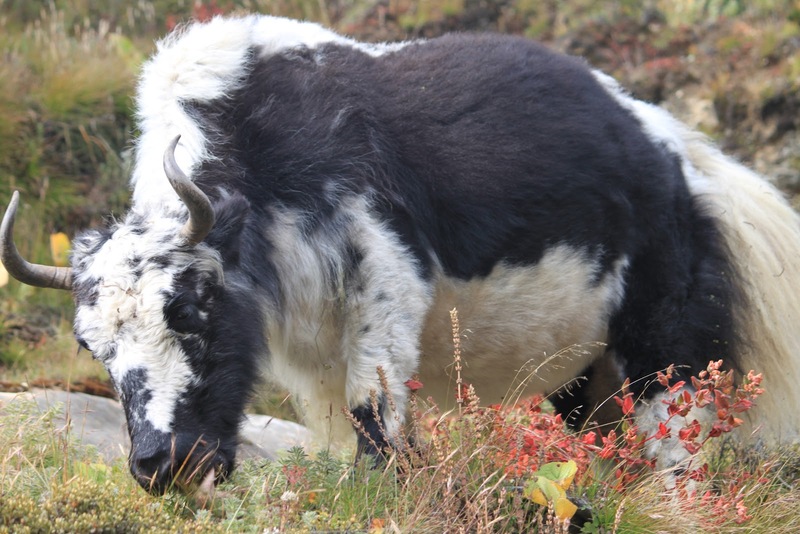 After, the trail passes numerous farmer pastures with big yak populations before we reach Dingboche valley. Optional acclimatization trek (5-6 hours) to the remote village of Chhukung (4 730 m) and Chhukung Ri (top) located at 5 550 m. We have magnificent sights at Island Peak (6 189 m), Amphulapche (5 663 m), Baruntse Base Camp (5 400m) and the white ice lake of Imja Tsho. After ascending 150 m up to the main road, we reach a viewpoint where we have outstanding sights at Tawachee (6 495 m) and Cholatse peak (6 440m). After our lunch camp in Dugla (4 620m) the trail goes directly up the gravely terminal moraine of the Khumbu glaciers for about one hour. The trail leads to a row of memorial monuments of lost climbers and sherpas. The trail then drops a little and follows the western side of the valley to Lobuche. After four to five hours hiking we reach the small settlement of Lobuche which is situated at 4 930 m. We sleep in a lodge at Gorakskhep, a semi-permanent village at the bottom of the Khumbu Icefall. The ascent to Gorak Shep (5 160 m) becomes steeper and rougher as we cross several moraines. Soon we see the peak of Pumori (7 145m). We also have our first views at Nuptse (7 864 m), Kala Pathar (5 545 m) and Mount Everest. At the right side you look over the Khumbu Glacier, an enormous tongue of ice which marches down the slopes of Everest. We reach Gorak Shep by lunchtime and trek to Base Camp in the afternoon. In total we hike six-seven hours today. Early morning we climb to Kala Pattar – the Black Rock - located at 5 545 m and marked by a tangle of prayer flags. At this viewpoint - one of the most astonishing views on earth- you have a 360 degree panorama of Himalayan giants from Pumori and Lobuche West to Nuptse, Lhotse and Everest. We return back to Gorak Shep via the view points of the ice lakes of Pumori and Everest. After breakfast we return in 4 hours back to Pheriche located at 4 215 m.
Trek from Pheriche to Namche Bazaar (3 440 m). We descend approximately 5 hours. After breakfast we fly in about 40 minutes from Lukla to Kathmandu. Arrive at Tribhuvan Airport and transfer to hotel. Cost of all meals at Kathmandu except welcome dinner has to be borne by participants. (avg cost per meal is approx (10$ to 15$ or 600 to 800 Nepali Rupees). 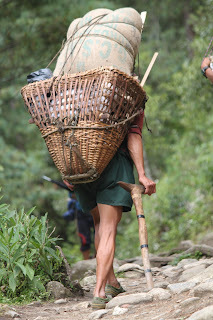 Tips to porters/guides etc (Budget approximate 2500 Nepali Rupees for tips). Hot Water during treks (At high altitudes during trek a shower or a bucket hot water may cost 300 to 500 Nepali Rupees). Hot water shower at Kathmandu is part of the package. Mobile / Camera power for Charging. 200 to 400 Nepali Rupees per hour. Better to carry spare cells or a recharger. In-between snack (You can carry chocolates / protein biscuits / dry fruits from India with you, local item are very expensive along the trek route). Travel and Rescue Insurance for a period of 12 Days during the trek (cost around $150+ approx per person, we can help you with this). Sleeping Bags and Down Jackets on rental for (-20 degrees) (approximate cost 100 Nepali Rupees per day per item, you may have to budget for 12 days). Also refer to the checklist of requirements for the trek to make a note of items you may need to purchase in case you do not have them. * World Heritage entry fees in Kathmandu. In case of delay because of weather conditions Organiser is prepared to cover unusually for the members of Events the costs for one night lodging in Lukla and one night at Deluxe Hotel at Kathmandu. All further costs will be on personal charge of the travelers. (Recommended) Insurance - For details of Insurance Click Here (Extra cost). “EVACUATION” means providing the necessary means including air transport to search for and move an injured Insured person to the nearest suitable medical facility in Nepal. In case of Claim: The HOSPITAL/NURSING HOME has to certify that the Rescue is necessary to save the life of the Insured. Personal expenses like laundry, communication, shopping, and meals in Kathmandu except welcome dinner. Nepal is like not home. It is exotic, it is wonderful, but it is also different. Great elevation changes, differences in customs and language, menu variations, lodge limitations, and the many other mysteries and wonders of travel in Nepal are all conditions you must be physically and mentally prepared for. The itinerary may change. You may meet unknown hardships as well as unexpected pleasures. Come with an open mind and positive spirit. 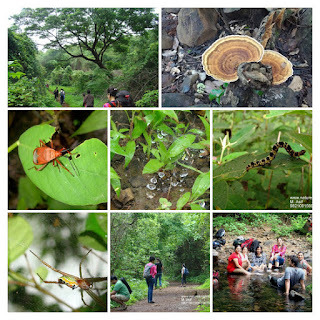 For those of you new to trekking, you have a wonderful experience in store. Trekking is walking, generally on good trails, usually up and down (sometimes 900 m a day), carrying only a day pack, through magnificent scenery. The day starts early, and often the bulk of the day's kilometers are covered in morning hours. The shorter afternoon hike brings you to the site of the lodge to be used that night. This trip is designed so that an average hiker will require 5-6 hours of hiking per day to reach the evening’s camp. In general this is a moderate trek, but remember that trails are often steep in Nepal and at 3 000 m any hiking can seem strenuous. On some days altitude gains and looses of up to 900 m can be expected. Strengthen your knee muscles and prepare for several days of steep descents of anywhere up to 900 m. should anyone have altitude problems during this trek, it will be possible to drop down till Namche. A program of cardiovascular conditioning such as running, swimming, biking or aerobics is essential, but try to supplement your exercise with hiking on steep hills or running up and down steps. The more you can condition by closely simulating the activities of trekking, the better off you will be. While the trip is rated as moderate overall, several days will be strenuous, and good conditioning is essential to your enjoyment of the trek. Personal gear will be carried by porters. Porters can carry two members' duffel bags. Since their load is 25 kg, this means that your duffel cannot exceed twelve kilos. We stay in locally owned lodges and will receive an insight into family living. All the guest houses have toilets and cold showers. Some of the guesthouses have hot showers available and every lodge is equipped with solar power systems for lightning. The main common room has a heater, nice in the cold nights. Remember that, the latitude of Nepal is between 26˚ and 30˚N so it will warm at the lower elevations (short and T-shirt) while nights will be cool. Day temperatures will be between 10˚C and 15˚C at the lower elevations and between 5˚C and 10˚C at our highest elevations during spring and fall trips (till to -15 ˚C in winter). Temperatures at night will be cool being mostly between 0˚ C and - 5 C except for winter trek where temperatures till - 20˚C may occur at night. In December though you will enjoy clear skies and less crowded hiking trails. If you dress warm it’s a wonderful time to come to Khumbu region. During fall trips the weather is generally sunny, although an occasional storm could occur. Spring sees more clouds in the afternoon and the possibility of occasional thunder storms. This is not a tour where everything can be planned in advance to run like clockwork. You probably won't experience exactly what is written in the daily itinerary. Often adjustment must be made in the field. We want you to participate in the trip with the clear understanding that things can go wrong. Adventure travel does involve certain risks both emotional and physical. One has to be flexible when travelling in Nepal and have a cheerful attitude.